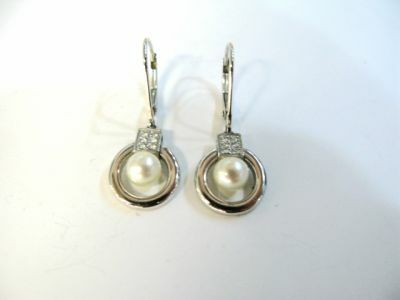 An elegant pair of 18kt. white gold drop earrings with 2 white cultured pearls, approx. 5.2mm and 12 bead set round brilliant cut diamonds, est. 0.08ct. (clarity: VS & G-H colour). 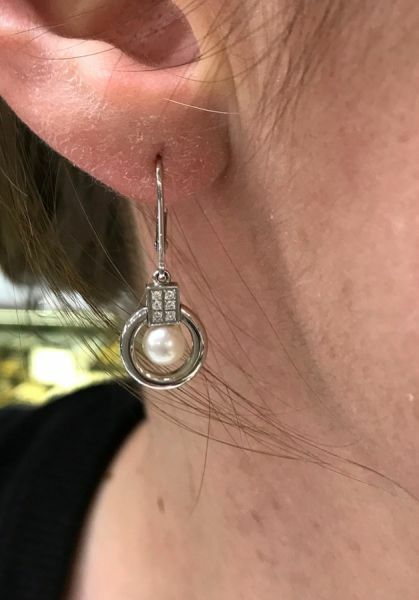 The earrings are approx. 1.25 inches (3.175cm) long.